The golden sands and blue waters of Streedagh Strand, under the shadow of majestic Benbulben, belie the horrific scene that unfolded there nearly 430 years ago. 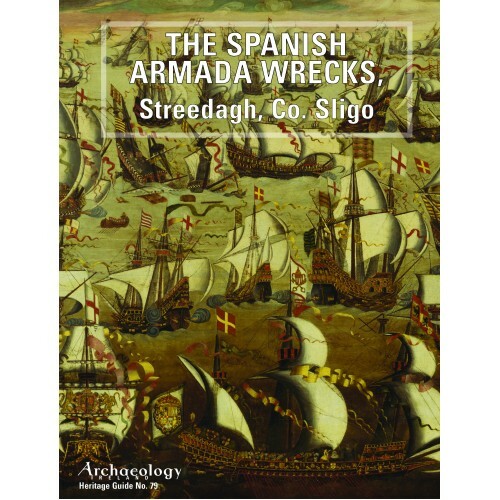 In September 1588, storm-lashed and war-torn, three great ships of the Spanish Armada were driven into Streedagh Bay by one of the most ferocious tempests on record. La Lavia, the Santa María de Visón and La Juliana were violently tossed, battered and dashed to pieces. The combined complement of men on board numbered 1,126 soldiers and mariners, all struggling to survive; only some 300 made it ashore, but this was not the end of their ordeal. Some died from drowning, others from wounds suffered as the ships foundered, and more from exhaustion and exposure. 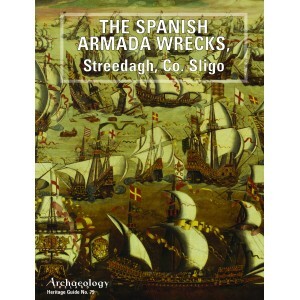 This guide describes the exciting archaeology surrounding the wrecks that were discovered on the strand on Streedagh.